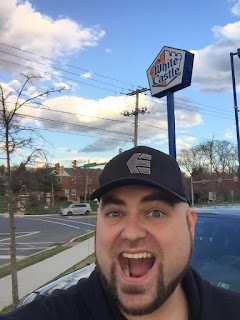 The Horror Movie BBQ: UnCovered: The DC Towers Go To White Castle! I recently went down to Maryland to visit friends and family for a few days. I only get to see my family once or twice a year so I always try my hardest to fit some sort of memorable event into my somewhat-vacation. That said, my best friend of almost 30 years and I both had a grand idea on how to spend our Saturday together. And hoooooo boy was it a doozy. See, Andrew and I have been craving something so delicious and so rare for the longest time that we just had to make the visit. Ok. Now follow me here just for a second. Please, before you decide to go read MorbidMuch instead because I've lost my mind, just listen. 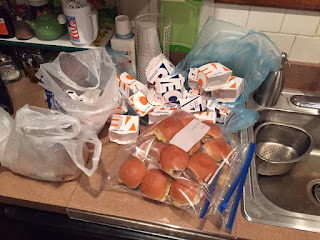 The last time I had freshly crafted Sliders was in 2010 when I stopped in NYC on the way up to Rochester to see my then girlfriend, now fiancée, Laurie. 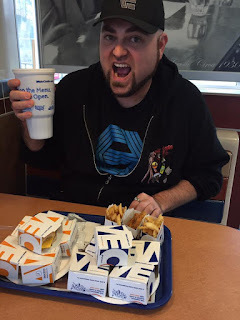 And before that, it would be an even rarer trip, as it was only when I'd be in a town for a convention that had a White Castle that I could bite into edible greatness. So Andrew and I did a little research. 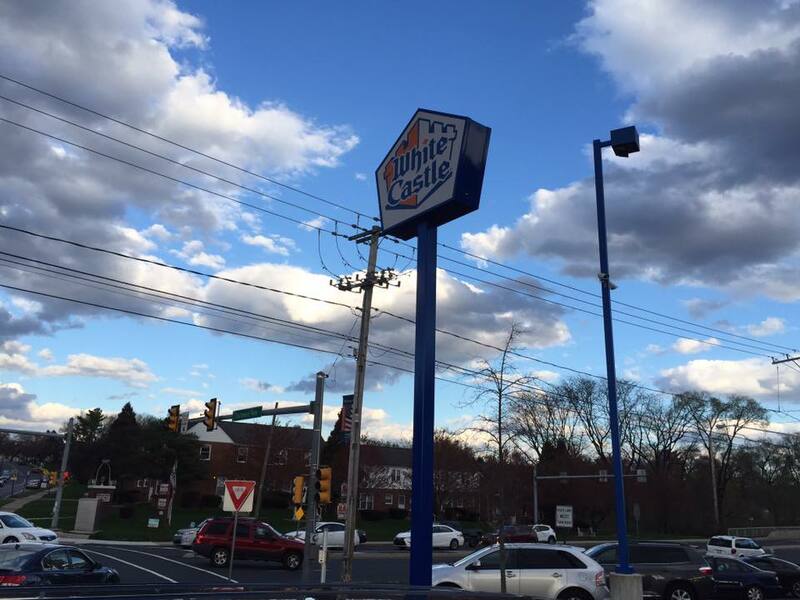 The two closest were 3 hours away but thankfully they were in areas we were familiar with: Allentown, PA or Woodbridge, NJ. Well, I had a few people we could see in Woodbridge that I wanted to see, but family plans were scheduled for that day, and that's understandable. 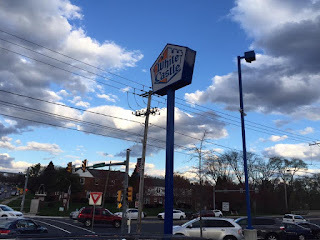 So, Allentown it was! Andrew and I have attended a convention or two in this area, so we weren't exactly strangers. We knew what a nice area it was and what to expect. 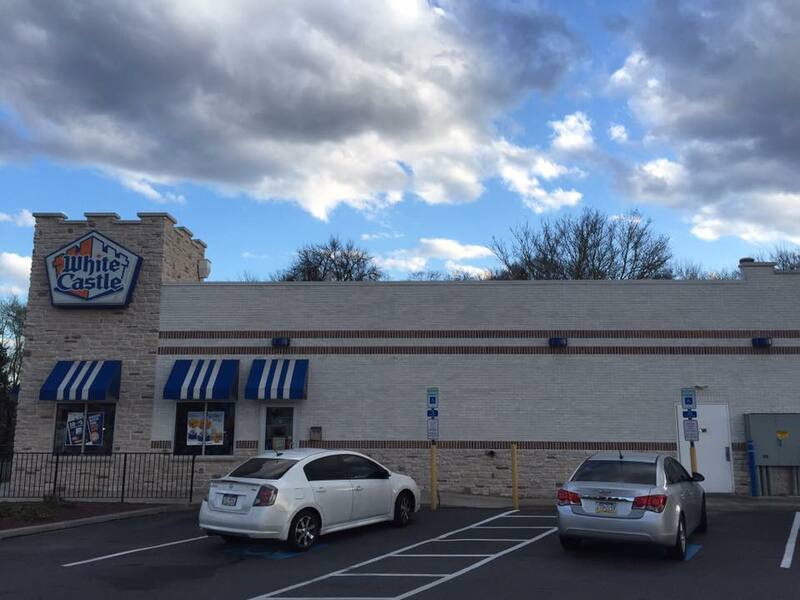 So with our eyes on the delicious prizes, we loaded up the car with some bottles of water, some Wawa juice and we were off to Allentown! 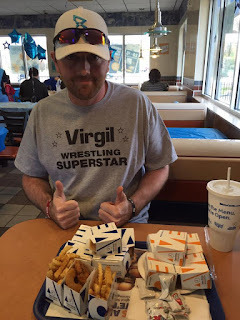 A little history note: Andrew and I used to attend the wrestling convention "Signamania" in the Philly area and were lovingly referred to as the DC Towers by Signamania promoter George, due to us being at least 10 feet tall each. 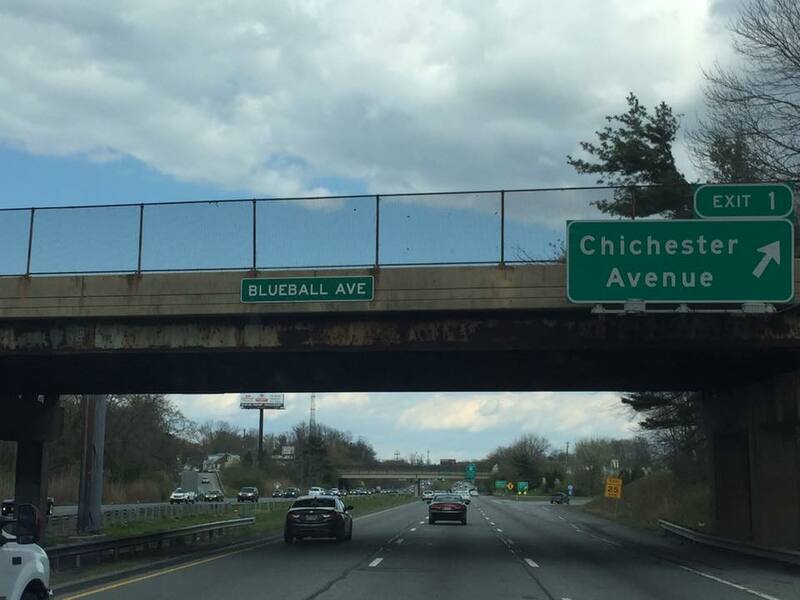 On our way to each trip we'd get excited to pass BlueBall Ave (ya know, because we've got the minds of ten year olds). So while it's been a long time since we traveled to PA together, we got even more excited and hoping this was a positive omen for the rest of this trip. We have arrived. It was a great 3 hour trip filled with fart jokes, movie and tv chat, politics, sports and many other topics covered. But we had built up an appetite that could only be solved by sliders. 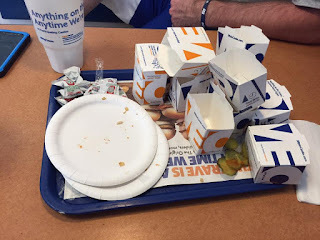 So I ordered my go-to meal of 8 cheese sliders, an order of chicken rings, chicken fries, french fries to split with Andrew and a large coke. Yup...order an entire sack, chicken fries and freeze them so I can bring some of the greatness back to Rochester. Surprise to no-one, these lasted about a week. 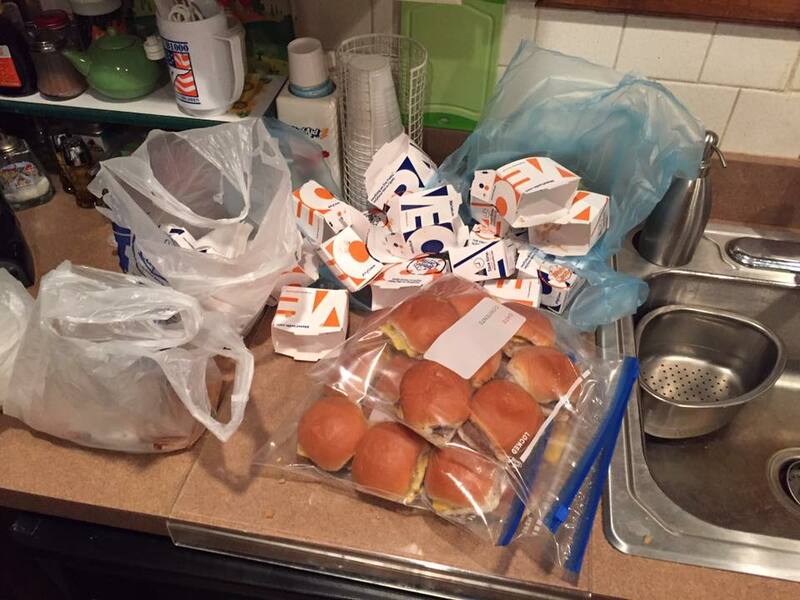 Yes, I know I can get the microwavable sliders at the local Wegmans, but nothing tops a freshly made cheese slider. And they even tasted better than the frozen ones from the grocery store. They're perfect. Does this all seem crazy? 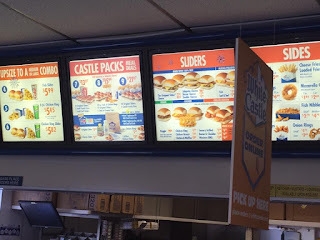 Two 33 year olds driving 3 hours for White Castle burgers? Sure does. But when you've had a best friend for close to 30 years, you can do crazy stuff like this. It's definitely one of my stranger adventures but I wouldn't trade it for anything. Because: Friendship+White Castles+Howard Stern on XM=Happiness. And you can't teach that! Only a sack? Get a Crave Case then you will be my hero.